In February of 2014, the Canadian government increased the Canadian citizenship fee from $100 to $300, with a $100 Right of Citizenship fee. 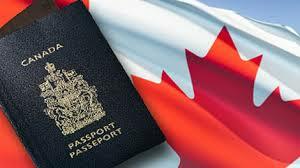 Effective January 1, 2015, Citizenship processing fees for adult grant applications will increase from $300 to $530. The Right of Citizenship fee will remain $100. Applications received by CIC on or after January 1, 2015 will require the new processing fee ($530) plus the Right of Citizenship fee ($100), if applicable, for a total of $630. Incomplete applications returned prior to January 1, 2015 and received by CIC after the fee increase will require the new processing fee. These reforms include streamlining the citizenship decision-making process from three steps to one, resulting in a 90 percent increase in new Canadians from the previous year, and reducing the backlog in Canada’s citizenship applications by 17 percent since June 2014, which is its lowest level in almost three years. The fee hike in 2015 is expected to bring in an additional $60 million to the Canadian government. Unfortunately, the increase in citizenship processing costs may make Canadian citizenship further out of reach for many families who are Canadian permanent residents. Canada’s fees remain lower than fees in both the United States and the United Kingdom. It is very expensive, the good news is the processing times are less. There are people getting their citizenship in about 3 months as opposed to 3 years. So there is less back log than in the past. But I do agree it is costly.